Luxury three-row crossovers should come with the most desirable features, and above all else, the interior should reflect the price paid. This vehicle class is occupied by numerous entrants, but not all of them provide a comfortable, composed ride, a spacious interior that actually seats seven individuals with ease, and affordable package upgrades. The 2019 INFINITI QX60 gets top marks for its combination of luxury and standard features. It’s a great choice for those who will regularly haul the entire family and cargo on longer trips. A worthy competitor in this segment is the Acura MDX. The 2019 MDX has its strong points including driving experience and a slew of standard safety features, but it lags a bit behind the QX60 when it comes to interior appeal, powertrain function, and affordable package options. Below, the comparison between the two models in these important areas is detailed. If a car is labeled a luxury model, it should look and feel like one on the inside. The 2019 INFINITI QX60 has a spacious cabin with plenty of legroom in the front and second-row seating areas. All of the control buttons and dials are right where the driver wants them. Many large crossovers don’t have easy access to the third row, but that’s not the case with the QX60. It’s easy to climb back there thanks to the wide-opening doors and the placement of the center row of seats. The QX60 also offers one of the quietest rides of any crossover. Noise-dampening is excellent. Standard interior features on the base Pure trim include a sunroof, a power liftgate, tri-zone automatic climate control, power-adjustable and heated front seats, and an 8-inch central screen display. The 2019 Acura MDX has a spacious interior, but the third-row isn’t easily accessible, and legroom back there is rather tight. Materials quality is only average. Standard convenience features are similar to what is found on the QX60 Pure model, but overall, the MDX just doesn’t have the same luxurious feel that one experiences inside the QX60. There’s only one engine available on the 2019 INFINITI QX60, but it’s a nice one. The 3.5L V6 pumps out 295 horsepower and is rated at 270 lb-ft of torque. Some drivers are not overly thrilled with the new-fangled continuously variable transmissions, but the CVT on the 2019 QX60 gets top marks. Acceleration and gear changes are absolutely effortless, and at full throttle, there’s no hesitation whatsoever. All-wheel drive is available for those who will be doing a lot of travel in inclement weather. The 2019 Acura MDX comes with a standard V6 as well, and power output is almost exactly the same as that of the QX60, but the nine-speed automatic transmission has a few weak spots in the lower gears. The MDX Sport Hybrid combines a gas engine with an electric motor, but aside from the fuel savings, there’s no advantage here. Power is noticeably lacking, and the driving experience is negatively affected. One of the interesting things about the 2019 INFINITI QX60 is the uplevel Luxe model package options. The Luxe option allows the buyer to choose from a total of six packages, and this really makes for personal customization for the buyer. For example, the Essential package adds on navigation, satellite radio, leather seating, a surround-view parking camera, and rear parking sensors. If this package is ordered, the other five packages are now available. The 2019 Acura MDX doesn’t have a wide range of package options, and although many of the safety systems are standard, most other options are stand-alone and really boost the price tag. Get to know the INFINITI QX60 up-close and personal. 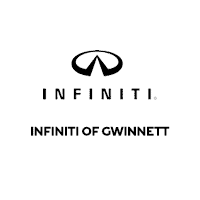 Contact INFINITI of Gwinnett to schedule an inspection and test drive. You’ll like how it compares to the popular MDX model from Acura.